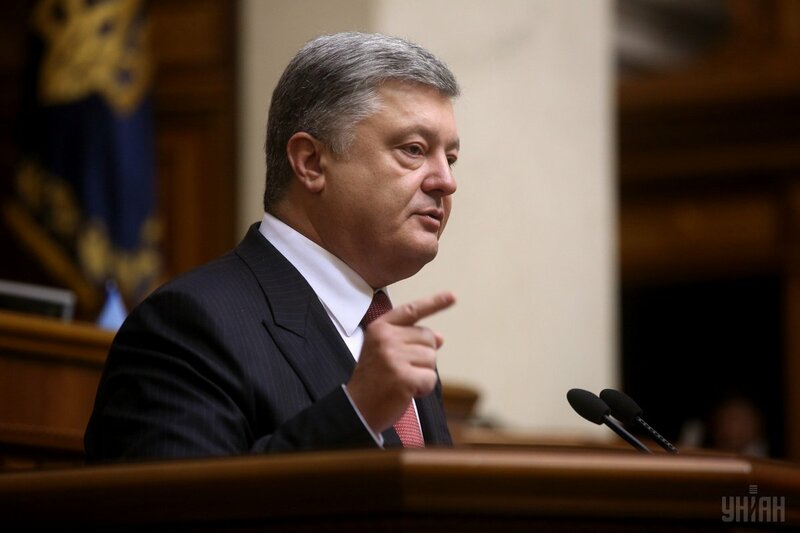 "I strongly reject some saying about a 'fait accompli' as regards Crimea," Poroshenko said at a plenary session of the Parliamentary Assembly of the Council of Europe in Strasbourg on Wednesday, October 11. The PACE's rostrum was created not for calls to trade territories for money, oil or gas, he added. Read alsoCzech embassy says president Zeman in PACE expressed "personal opinion" on "selling" CrimeaAs UNIAN reported earlier, Zeman shared his personal view with the PACE that Ukraine's loss of Crimea is a fait accompli and Russia can pay Ukraine compensation for the annexation of the peninsula to avoid European war. "Crimea is annexation, without any doubt. Crimea at the same time is fait accompli," Zeman said the day before, on October 10. "If there is a dialogue between Russia and Ukraine, I think – and it is only my personal view – there would be possible some compensation for Crimea in financial form or in natural form, I mean, oil or gas. This is only my personal proposal. Nothing more. Respect that we try to avoid European war and in the same time we try to compensate Ukraine," the Czech president added.